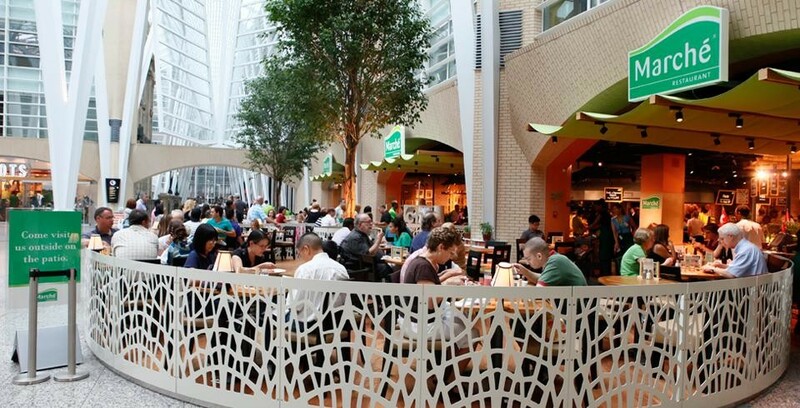 Flash your valid-year Key To The City to hostess stand and enjoy VIP skip-the-line access at Marche, during busy times, in Brookfield Place. Time saved – a valuable benefit for Keyholders! THE FINE PRINT: Time saved is the VIP benefit at Marche! Flash your valid-year Key at the welcome/hostess stand and enjoy VIP skip-the-line access during all busy times, all year long. Perk has no cash value. Perk may not be combined with any other offer. Perk is for Keyholder + 1 guest only. Marche reserves the right to change or substitute VIP perk with or without notice.